You'll be £19.99 closer to your next £10.00 credit when you purchase First Through The Clouds. What's this? Much of the flying training in those early days was a case of the blind leading the blind and, as Merriam wrote, ‘Flying was a dangerous business then. Aeroplanes were constantly breaking up in the air – let alone on take-off and landing; there were no parachutes and the pilots were ever expectant of mishaps.’ This was hardly the career for a decent young man and for a long time he had to keep his flying a secret from his parents. Originally written in 1954 this is a memoir by one who, literally, saw the ups and downs from the earliest days of flying training. It is a rare gem for the vintage aviation buffs and thanks should go to the Aviation Historian team for ensuring that the book is available once again. This is really one of the classics of aviation literature. It is surprising that it has not been reprinted previously, while some other titles have seldom been out of print. 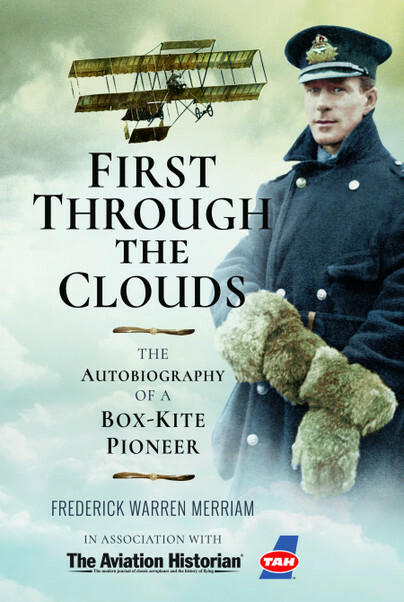 Originally published in 1954, a welcome new edition of the autobiographical memoirs of an early pilot from the pioneering days of aviation recalling his life as a flying instructor at Brooklands and his subsequent experiences during WW1 training pilots for the Royal Flying Corps (RFC) and Royal Naval Air Service (RNAS). Includes Foreword by Air Chief Marshal Sir Philip Joubert de la Ferte.